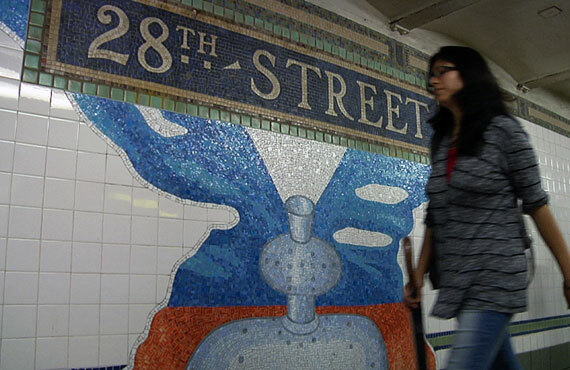 Mosaics were a major part of the New York City Subway when it first opened to the public in 1904. 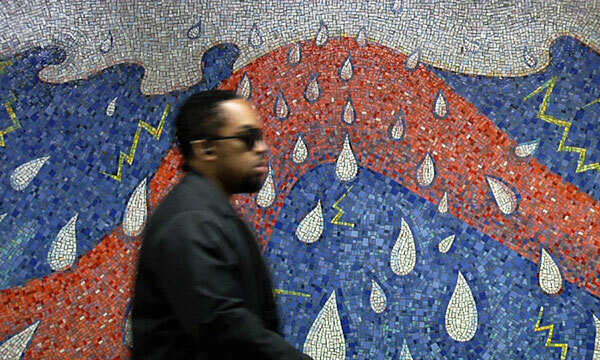 Although later design concepts have often opted for cheaper or more modern materials, Arts For Transit is making sure to keep the mosaic tradition alive by commissioning artists to create permanent mosaic installations for the subway. 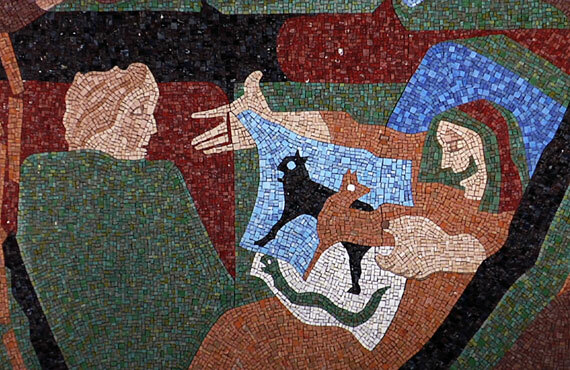 But, since these commissioned artists are usually not mosaicists themselves, they have to turn to an expert. 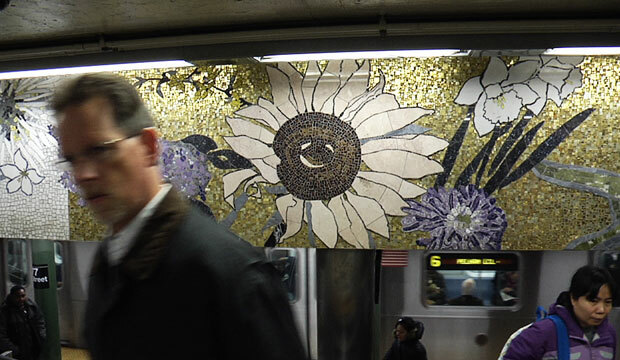 Stephen Miotto is one of the mosaic craftsmen who has been responsible for the creation and installation of many of the subway art mosaics. 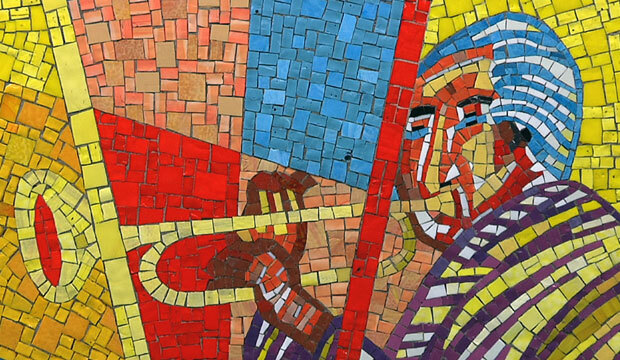 Like many other master mosaicists, Stephen has a special ability to interpret the unique and often complex visions of artists from all different disciplines. Here’s a look at some of Stephen’s best work. 116th Street; Vincent Smith, Minton's Playhouse (uptown), The Movers and Shakers (downtown), 1999. Aveune U; Jason Middlebrook, Brooklyn Seeds, 2011. Stephen working on Brooklyn Seeds at the top of stairs (Left). 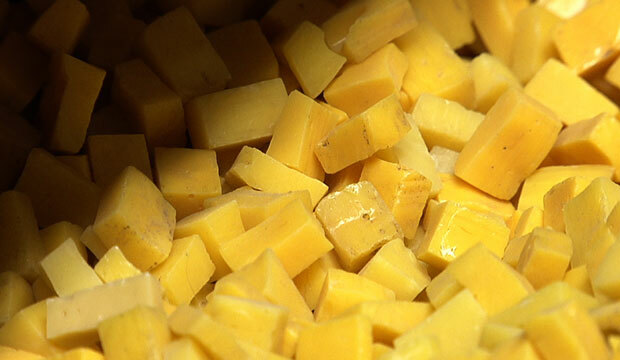 And the finished product… (Right). 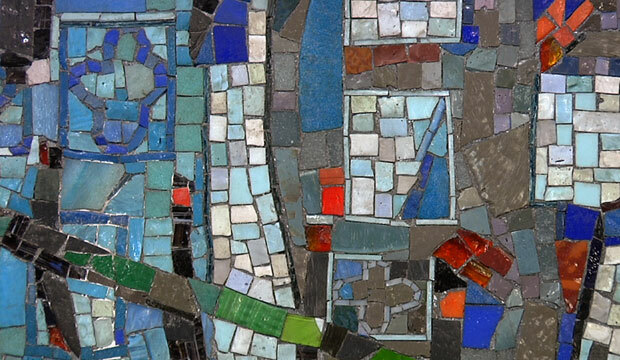 Avenue M and Avenue J; Detail of Rita McDonald’s Hare Apparent at Miotto Mosaic Art Studios (Left). Detail of Rita McDonald’s Bire Laid Bare (Right). From Avenue M and Avenue J, respectively. Times Square-42nd Street; Jack Beal, The Return of Spring/The Onset of Winter, 2001/2005. Detail drawing made by Jack Beal (Left). Subsequent mosaic detail (Right). 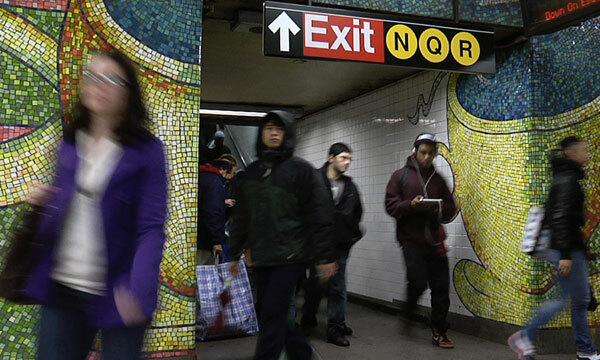 Lexington Avenue-53rd Street; Al Held, Passing Through, 2004. Times Square-42nd Street; Jane Dickson, The Revelers, 2008. 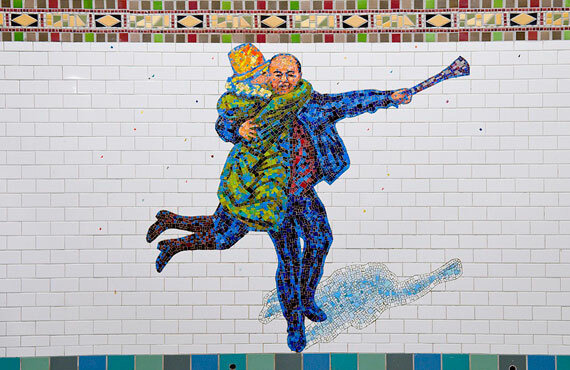 77th Street; Robert Kushner, 4 Seasons Seasoned, 2004. 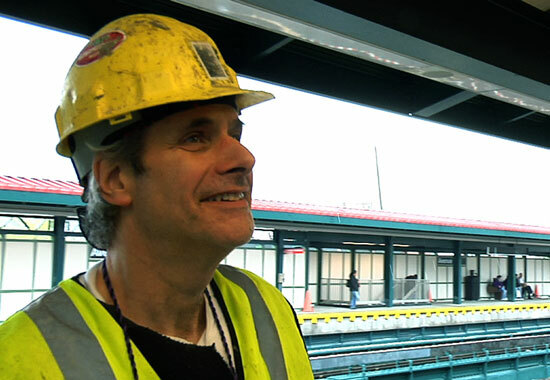 Stephen Miotto admiring his work on Jason Middlebrook’s Brooklyn Seeds (2011). 28th Street; Mark Hadjipateras, City Dwellers (for Costas and Maro), 2002. Times Square-42nd Street; Jacob Lawrence, New York in Transit, 2001. 59th Street/Lexington Avenue-59th Street; Elizabeth Murray, Blooming, 1996. 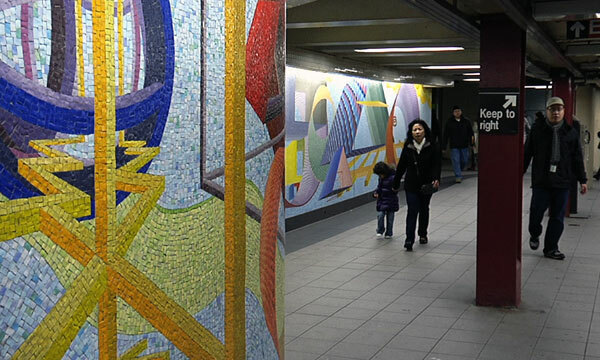 23rd Street-Ely Avenue/Long Island City-Court Square; Elizabeth Murray, Stream, 2001. Loose tesserae (mosaic tiles) at Miotto Mosaic Art Studios. Intervale Avenue; Michael Kelly Williams, El 2 and El 5, 1992.